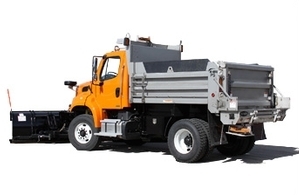 Designed for a single-axle chassis and available with an underbody hoist or a front mount telescopic hoist contained within a doghouse, the Hi-Way® PS350 features heavy-duty 10-gauge grade 50 sides, headsheet and tailgate as well as a 7-gauge "one piece" grade 50 floor with no cross members, resulting in a lighter-weight body. Standard features of the PS350 include seamless and outward sloped top rail, rub rail and horizontal braces; a 5" formed floor to side radius prevents material build-up in corners and 10-gauge grade 50 front and rear corner posts, with front corner posted tapered for added body strength. 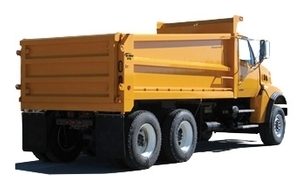 Designed for a tandem-axle chassis, the Hi-Way® PS400 features heavy-duty 10-gauge grade 50 sides, headsheet and tailgate as well as a 3/16” (4.88mm) AR 400 "one piece" floor with no cross members, resulting in a lighter-weight body. Standard features of the PS400 include seamless and outward sloped top rail, rub rail and horizontal braces; a 5" formed floor-to-side radius to prevent material build-up in corners; and 7-gauge grade 50 front and rear corner posts for added body strength.